Duplicate Finder - Find duplicate files instantly! Please enter your addresss information below. Fields marked with an * are required. CVV Number * what is this? * This order will show up on your credit card statement as from Webminds, Inc.
FIND DUPLICATE FILES INSTANTLY with Duplicate Finder. It is the fastest and most accurate program of its kind. It will instantly scan your computer for duplicate files and display them in an easy to understand report. Built-in tools help you resolve them easily and safely. Duplicate Finder is a powerful tool to find and resolve duplicate photos, documents, spreadsheets, MP3's, and more! Removing duplicates will also help to speed up indexing and reduces back up size and time. Your computer isn’t fully optimized until you’ve removed all unnecessary duplicate files. Let Duplicate Finder remove the duplicates! Important! Read this before updating to Windows 10! Otherwise your copy of Duplicate Finder will stop working. Windows XP, Vista, 7, 8 & 10 are registered trademarks of Microsoft. 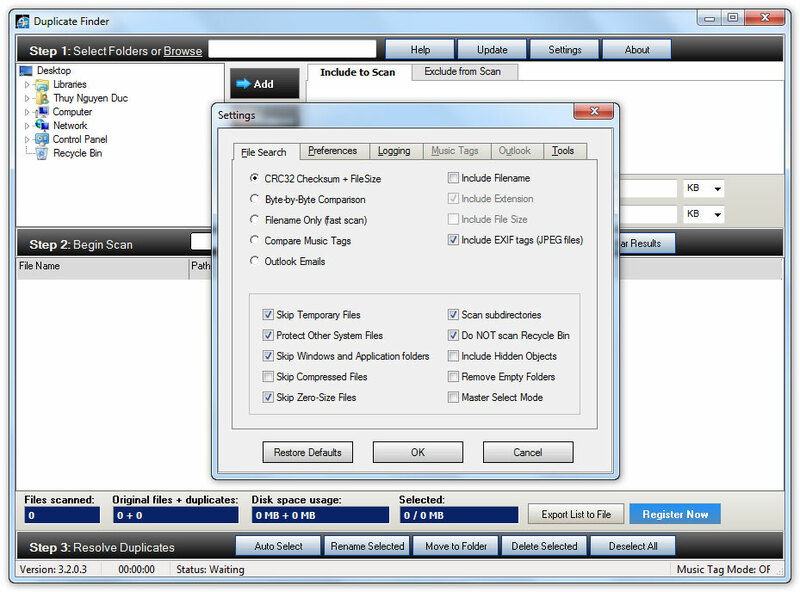 Duplicate Finder is a trademark of Webminds, Inc.